Politics is the art of the possible. As Bismark said, it's not about what's right or what's best. It's about what you can actually get done. This perhaps is what President Maithripala Sirisena has done after being embroiled in a controversy for weeks whether to give nomination to former President Mahinda Rajapaksa or not. 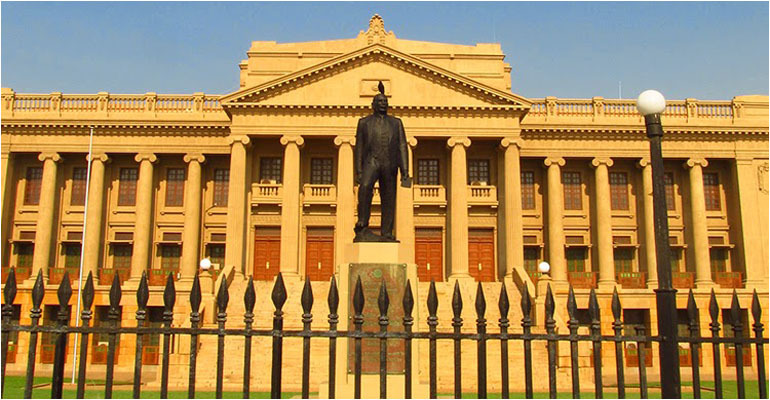 It is more likely that he has done so as an act of last resort fearing he would lose the SLFP leadership in the event he withheld nomination to Rajapaksa who has been rising like a Phoenix from the ashes since his defeat in January. Despite strong opposition from the Chandrika faction of the SLPF and most others who stood behind him at the last presidential election, Sirisena seems to have taken a difficult decision. The decision already seems to have begun to divide the party although Sirisena appears to have done so to prevent a split. With some of the party stalwarts who supported him having already decided to leave in protest the medicine appears to be worse than the cure. With divided opinion in the party on issues of democracy, good governance and the way Mahinda Rajapaksa conducted party affairs during his tenure, keeping the party together seems a Herculean task. 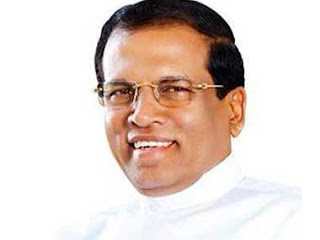 What Sirisena has done is trying to balance the interests of three different groups – the UNP, campaigners for good governance and his own party SLFP. He won the presidency with the help of the UNP vote base and he paid his gratitude by helping them to form a government and made Ranil the Prime Minister. To a great extent he satisfied good governance campaigners led by Venerable Maduluwawe Sobitha Thera by introducing the nineteenth amendment. Finally he would have thought of saving his party by giving nomination to Mahinda Rajapaksa from the UPFA. He would probably have thought that ignoring the Rajapaksa faction would have resulted in a major split facilitating an easy victory for the UNP which would put him in an embarrassing situation with his party supporters blaming him for destroying the SLFP. His own fears of having to face such an ignominy would have compelled him to take the decision even unwillingly. On the contrary, by trying to avert a major split in the party he has now distanced himself from an important section of his staunch supporters. Already, a former cabinet minister and SLFP treasurer S B Navinna has joined the UNP while there is much speculation about several others including Arjuna Ranatunga, Hirunika Premachandra and Rajitha Senaratne too following suit. Most of them are ardent supports of the former president Chandrika Kumaratunga. She was instrumental in persuading Sirisena to come forward as the common candidate against Rajapaksa and the decision to give nominations to him would have certainly infuriated her. Despite much speculation the picture is still not clear and what makes everyone suspicious is the unusual silence of Sirisena following UPFA Secretary General Susil Premajayantha’s statement on Rajapaksa getting nomination. 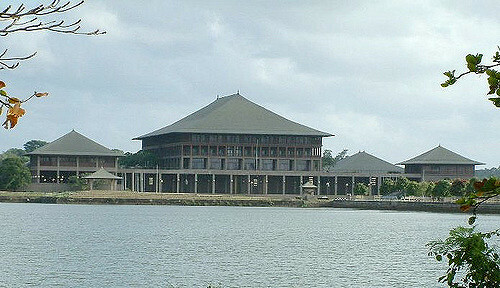 However, the silence of Chandrika Kumaratunga and Ranil Wickramasinghe is perhaps because both being unhappy over the decision are likely to work together behind the scene to see that Rajapaksa is defeated. In the circumstances all the SLFP stalwarts who are opposing the return of Rajapaksas will naturally rally round Kumaratunga. Hela Urumaya led by Venerable Athuraliye Rathana Thera has already announced that they will form a broader front for good governance opposing Rajapaksa. Both these groups are likely to join a future UNP led front with the common aim of preventing Rajapksa’s return, the same way they worked together to defeat him at the last presidential election. This unexpected development has resulted in a section of Maithri supporters drifting towards the UNP adding much boost to their campaign. It is too early to predict how all this would affect the result of the coming election. However, if the trend continues with more people moving towards the UNP, it may even facilitate an eventual victory for them and this ironically is what Sirisena would have tried to avert by surreptitiously accommodating Rajapaksa through the UPFA.